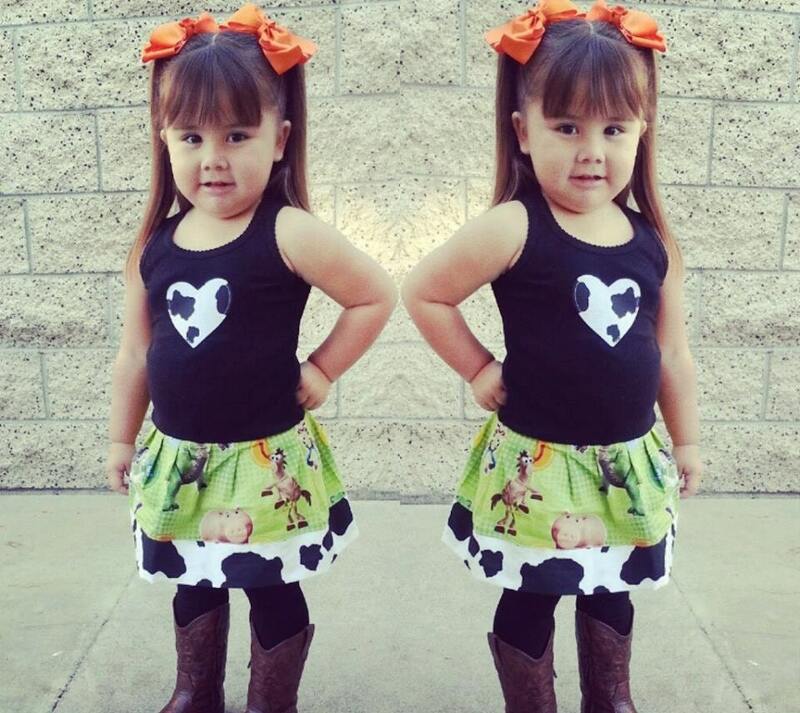 This adorable Toy Story inspired dress is perfect for that Jessie or Woody Fan. 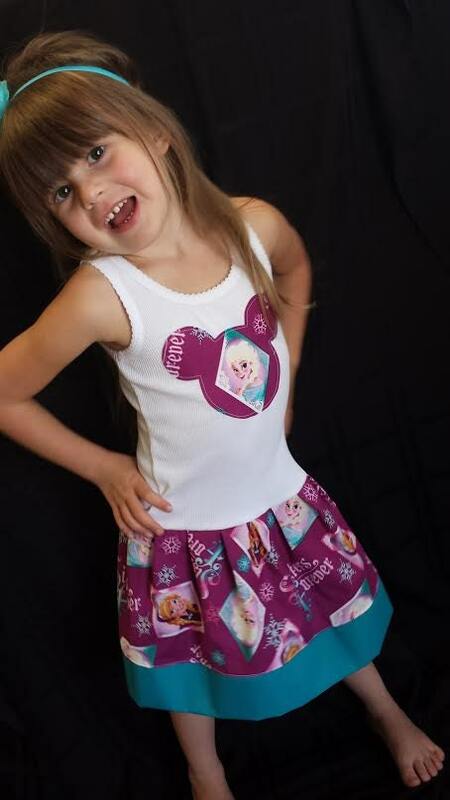 All the characters are on this fun fabric. Dress is perfect. Exceeded my expectations! I can't even begin to tell you all how much that I absolutely LOVE this dress. Not only was it affordable compared to other character dresses/outfits but the quality is superb. It is stitched well and beautifully crafted. 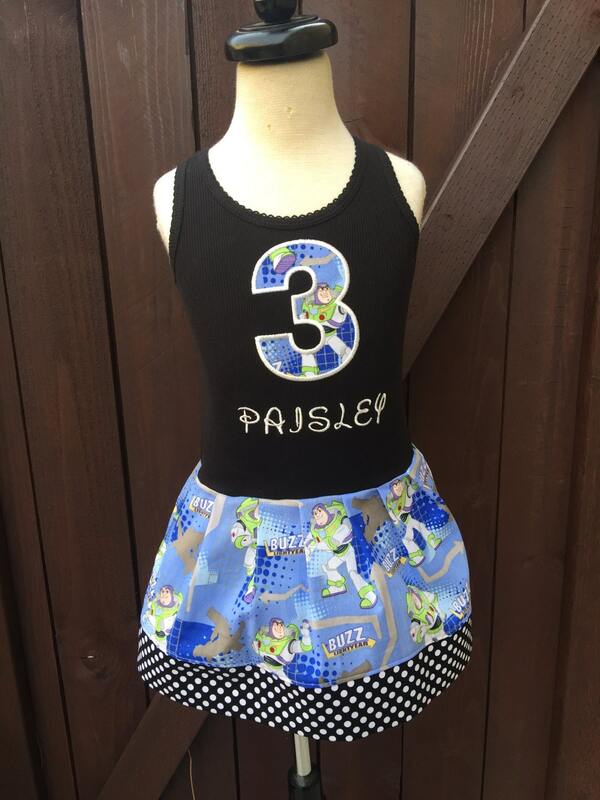 The placement of the Buzz Lightyear fabric on the number 3 is on point, the character skirt is adorable and it fits extremely well. 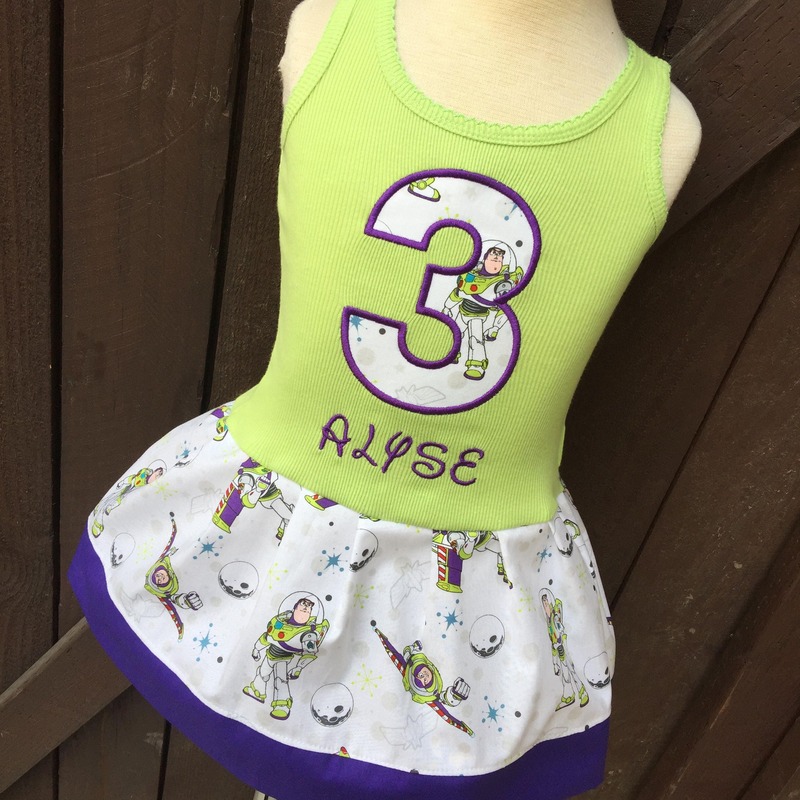 My soon-to-be 3 year old is over the moon about her "Buzz Lightyear dress"! The seller made and shipped within 2 weeks and the dress was as described! I highly recommend this seller and her products. Very cute, and they were able to personalize it with different colors, etc. Adorable adorable adorable!!! Love this dress and love how much you cared to make it perfect for us! 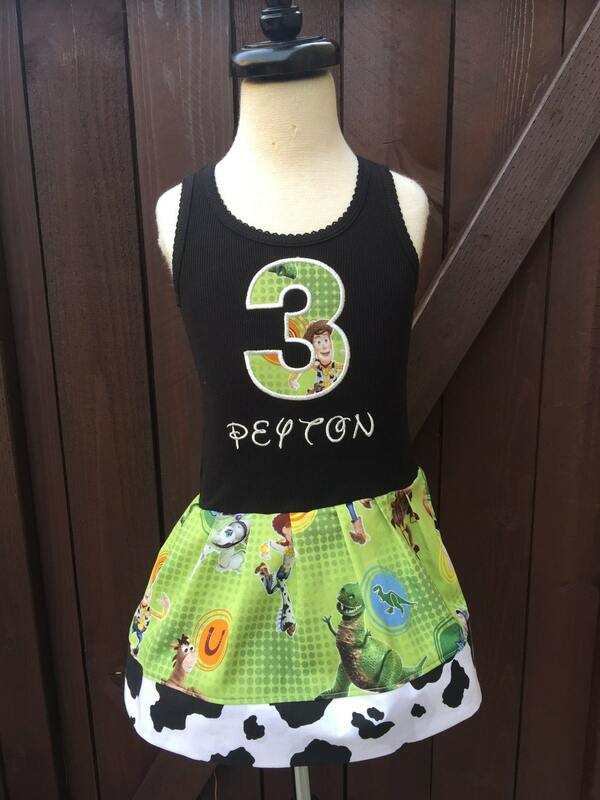 The color combo you suggested was perfect and my little buzz fan was THRILLED!